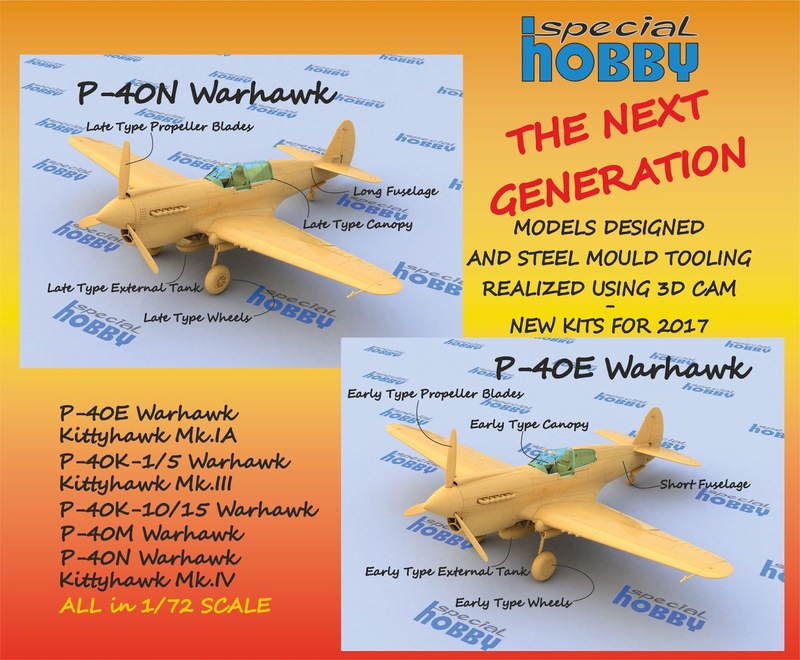 At the 2017 Nuremberg Toy Fair, we made an exclusive announcement of a whole family of P-40 kits comprising versions P-40E, P-40K-1, P-40K-10, P-40M and P-40N. Even though the moulding tools still need some more fine-tuning, now we are here with the kit testshot photographs. 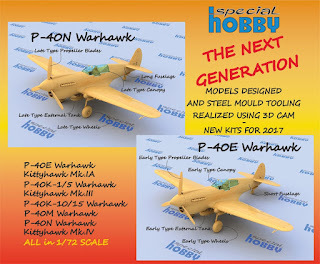 We intentionally omitted the description under each of the fuselages so that you might take a guess what particular version is on each of the pictures.